For many of us, amalgam fillings (also known as silver fillings) are remnants of our youth, when they were commonly used in dentistry. Because of their silver colour, they contrast with the natural shade of enamel, making their appearance unaesthetic. Due to their metal content, they are good conductors of heat, which can cause pain when eating cold or warm meals. Unfortunately, they have one more disadvantage, which is that they contain toxic mercury, as well as silver, copper and tin. In our body, the mercury accumulates in the tissues and can cause allergies, as well as autoimmune and neurological diseases. Frequent signs of mercury poisoning are chronic infections, lack of taste, constant fatigue, and excessive excitability. Definitely yes. The main indication for replacing amalgam fillings is the development of cavities around them, because the amalgam is not always impervious, and may not chemically bond to the tooth tissues. In case of very weakened teeth (e.g. when only thin tooth walls remain), the amalgam can cause them to break. They may also contribute to developing gum disease or periodontal disease. Can any dentist replace amalgam fillings? 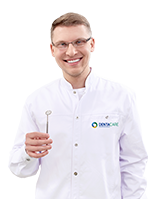 Yes, an experienced dentist can replace amalgam fillings. It is important that the replacement of amalgam fillings is performed in a specialised dental surgery and that appropriate safety precautions are followed, i.e. 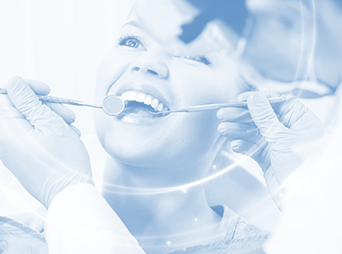 the SMART standards of the International Academy of Oral Medicine and Toxicology (IAOMT). How is the SMART procedure used to remove amalgam fillings? The dental chair should be equipped with an amalgam separator, so that mercury does not enter the environment. All persons present inside the dental office during the treatment must be provided with disposable protective clothing. Surgery staff should use vinyl protective gloves. Dentist and dental assistant should be provided with airtight breathing masks with mercury filters. The patient should be connected to an external oxygen source through a nasal mask or cannula, so as not to inhale the vapours released from the removed fillings. Cofferdam should be used to protect the patient’s mouth. A saliva ejector and suction device should be used during the procedure. The procedure should be performed using plenty of water to minimize treatment temperature. The amalgam should be cut into fragments using special drills and removed in the largest possible pieces. When the amalgam removal process is complete, the patient should rinse the mouth thoroughly with water. Not following the SMART standards as patients translates into high risk due to large quantities of mercury vapour that evaporate during the procedure (even as much as 4 times higher).